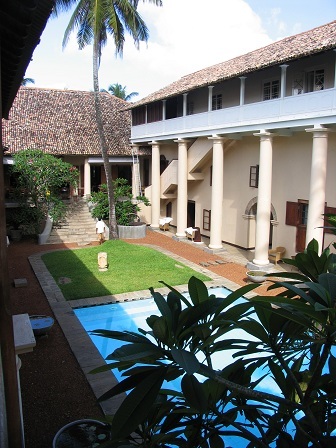 To mention Galle and Galle Fort in one breath is silly really. They are a world apart. Technically they are only a narrow stretch of road apart, but when you head out of bustling Galle with its tuk-tuks trying to run you over where the buses have failed; the market with its myriad of smells – not at all pleasant; the deafening noise coming from people, vehicles of any description and animals alike, stepping through the impressive ramparts, you suddenly breathe. Breathe deeply. You can hear bird song. You can hear the sea. You see a cat, stretching lazily. It’s peaceful. 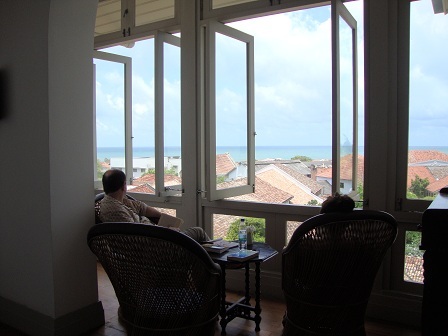 The Galle Dutch Fort is just that. A leftover from the Dutch who extended the initial fortification when they came visiting Sri Lanka in the 17th century. After Moroccan traveller extraordinaire Ibn Battuta. After the Portuguese who started the process. And before the British arrived. The Dutch though left their mark (Okay, the British did, too. They drive on the wrong side in Sri Lanka.) 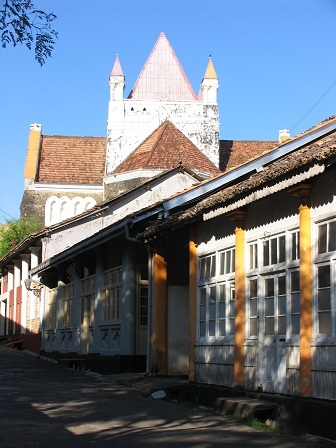 The fort is now a listed UNESCO World Heritage site and it is filled with small cottages, a church , a mosque, lots of little lanes full of children, old women sitting on their porches, some impressive colonial buildings, a beautiful lighthouse and yes, of course, some tourists. But not that many. They seem to gather more in the centre of Sri Lanka, around Kandy, Pinnawela Elephant Orphanage, Colombo and then they get stuck along the beautiful beaches going down south. 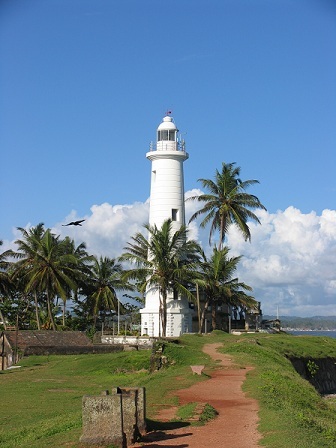 By the time the coastal road reaches Galle, right at the bottom of the teardrop that is Sri Lanka, some three hours’ drive from the capital, people have thinned out. That’s what makes it so attractive. You have all this history and beauty, and you don’t have to share it. Saying that, I have to admit that whilst I hate visiting places where there is nothing to do and nothing to see, i.e. no history, when I am surrounded by it, I tend to simply wander around, soaking up the atmosphere and leave the reading of the guidebooks to others. Sometimes the ‘other’ is my husband who drip-feeds me titbits, but generally I just love being surrounded by beautiful buildings and an atmosphere that is different from the one at home. And that’s just what you get here. 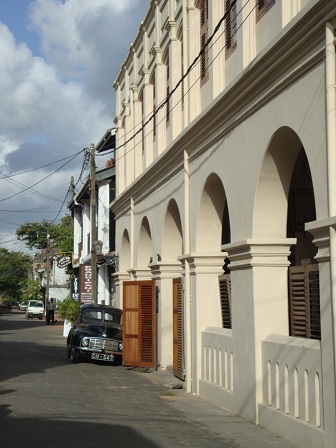 The small lanes are filled with small art galleries, tiny gem shops (TIP: try Sandhaken at 5, Pedlar Street or Fashion Gems on Church Street) selling Sri Lanka’s rich variety of semi-precious stones, cafes and a couple of beautiful colonial buildings that have been transformed into luxury boutique hotels. 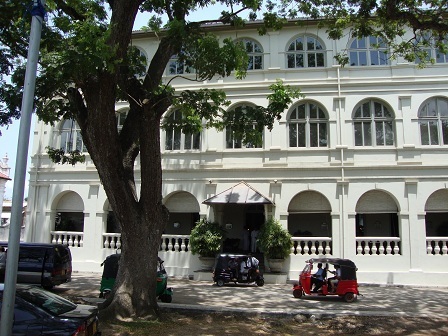 The first time I came to Galle, I stayed at the Galle Fort Hotel . This time I treated myself to the utterly gorgeous Amangalla Hotel . Both beautiful, both full of history, both expensive, but both so worth it. Considering you will probably not stay more than two nights in the Fort, spoil yourself, because it is just like living history, with a couple of glasses of champagne thrown in. Even if you are choosing to stay elsewhere, go to either, or both, for dinner. Both properties have expansive verandas where dining semi al-fresco is frightfully charming, for want of a better colonial expression. Staying within the ramparts, what you do is walk. Or better meander. Sauntering even, through the lanes, ambling along the massive walls of the fort overlooking the sea on one side and the tiled roofs of the higgledy-piggledy houses on the other. Families take their daily constitutional; kids play in the waves; dogs barely get the energy up to wag, and a few drink vendors refresh those out for a stroll. Walking once around the entire wall takes no longer than 30 minutes. Then heading back into the warren of alleys, stop for a strong Sri Lankan coffee, or even better for their number one export: tea. Try Mamas’ or the Pedlar’s Inn at 92, Pedlar Street. Then head up Church Street, buy a few souvenirs at Exotic Roots at 34, Church Street, sit under the enormous trees opposite the Amangalla, feed the little striped squirrels and think that this view has been exactly the same for three or four hundred-odd years. Give or take the odd tuk-tuk. 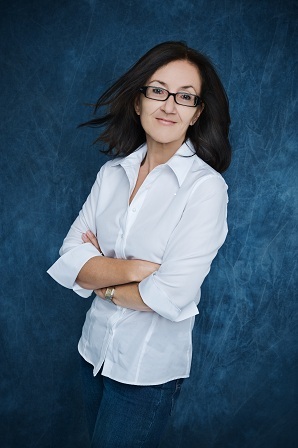 Ulrike Lemmin-Woolfrey is a freelance writer currently based in the United Arab Emirates. Originally from Germany, she moved to the UK after finishing school to study Marine Biology and ended up with a Bachelor of Science degree and a husband. After 10 years in the UK, she relocated to Qatar where she started writing in earnest and soon got ‘snapped up’ by Qatar Airways who put her in charge of publishing their monthly newsletter, writing daily press releases, speeches for senior management, brochures and web content for the airline and, last but certainly not least, putting together the monthly inflight magazine, Oryx. Eventually leaving Qatar for a one year long interlude in Oman, she now lives in Dubai freelancing full time for a myriad of regular regional as well as international clients. Having so far published some 1,000 articles, features and news items in magazines, ezines and newspapers around the world, not to mention plenty of copy-writing credits, she specialises on life & style, travel and local issues, but is happy to tackle any request, as Ulrike feels that “there is nothing that isn’t interesting, if only you research it well”.